It’s a hard decision to make: Do I use my retirement funds and try to avoid bankruptcy, or do I just file bankruptcy to begin with? Most families, honorable to the end, struggle longer than they should……By the time they give in, they’ve lost assets they could have used to start over again. That defeats the point of bankruptcy- to stop the self-blame and hopelessness that goes with bad luck and bad bills, and give yourself a second chance. Many people spend all of their retirement savings and then file bankruptcy. Although the intent is good and right, the outcome of spending your protected retirement savings (and educational funds for your children) and then filing bankruptcy doesn’t make a lot of sense. Moreover, it is not good for society as a whole because it weakens and lessens financial recovery options for the person who had to file bankruptcy. Essentially, a burden is shifted away from the creditors who received payment from these protected and exempt funds and places the risk of financial instability to the person filing bankruptcy and his or her family. It also increases the possibility that this person will need to rely on state and federal assistance in the future because their own personal safety net has been depleted. What’s worse is that many important and perhaps critical necessities of life will not be affordable in the future, such as obtaining medical care and obtaining quality health insurance. 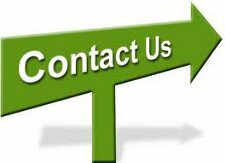 Creditors know that they have no legal right to retirement and educational funds, bankruptcy or not. 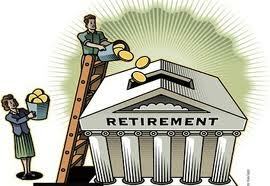 Retirement funds are special and should remain protected for their proper use. Whether the funds be held in an IRA, 401(k), 403(b), 457 plan or a Roth IRA, the purpose is the same. People need to save for their retirement because Social Security is just not enough and, in the somewhat near future, may not be available to everyone or at adequate levels. The purpose of retirement funds is to provide for “social security.” We need resources when we are no longer able to work due to age or disability. Creditors understand the rules of the game. They understand and have accepted the terms of lending money to their customers in advance of doing so. Not everyone will be able to pay back their debts. That is why, in part, they charge high levels of interest. Retirement funds and educational funds are almost always protected and exempt in a bankruptcy proceeding. There are some restrictions, such as when someone tries to stash a whole bunch of money into such accounts in anticipation of bankruptcy. But that’s not typical. Most people build their retirement and educational funds over a long period of time. And, the laws protect such people from losing those savings when and if they have to file a bankruptcy. This money is your future. Leave it alone and use credit cards for your necessities. Card issuers know that some of their customers will fail. That’s why they charge elephant fees.